Come on in. have a seat, group has started, you’ll be so glad you did. Whether you are in a crisis, life transition or need more support in your life, we get it. We want to hear your story, just as it is, no edits, no additions, no glossy finish. No matter what your “it” is, we’ve been there. We have our own struggles; we worry and lose our way just like everyone else. It’s not just a job, it’s a privilege. "If you told me that a group about courage, failure, vulnerability and shame would be fun, I would have thought you were crazy but it really was fun. The facilitators made the conversation easy and safe. You didn’t have to talk if you didn’t want to, but that was the most surprising part…I wanted to share." "I love Brené Brown and what she says and doing the group changed me. Before the group I understood the connection between connection, vulnerability and shame and through the group I found connection I had been longing to experience." "I was scared to do this but am so happy I did. I stretched my limits and I realized that I’m not the only one who’s thinking about all this stuff and trying to live differently." 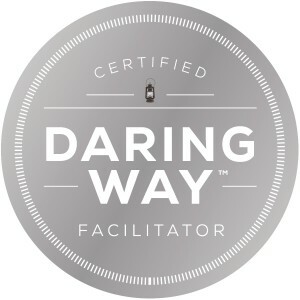 The Daring Way ™ is based on the research of Brené Brown, PhD and all certified Daring Way™ programs, groups and intensives are led by facilitators who have completed The Daring Way training and certification process, led by The Daring Way faculty and Brené Brown, PhD. Using metaphor, story-telling, experiential, and creative exercises, we will examine the thoughts, emotions, and behaviors that are holding us back and work to identify the new choices and practices that will move us toward more authentic and wholehearted living. 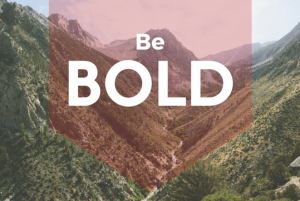 During the Daring Way™ we explore topics such as vulnerability, courage, shame, and worthiness. We examine the thoughts, emotions, and behaviors that are holding us back and we identify the new choices and practices that will move us toward more authentic and wholehearted living. The primary focus is on developing shame resilience skills and developing daily practices that transform the way we live, love, parent, and lead. GROUP DATES TBD – Due to popular demand, several groups will be held throughout the year. Email or call us for further information, otherwise stay tuned for our next group! This group will explore topics such as vulnerability, trust, courage, shame, and worthiness and will examine the thoughts, emotions, and behaviors that often hold teens back from being true to who they are. Focusing on shame resilience and moving toward authentic and wholehearted living, this group will provide the space to build connections with other teens going through similar obstacles. We will meet and learn as a larger group and then break off into two groups: middle school and high school so that we can get specific to the unique experience of each age group. Registration for this group is now open! We are offering a new group using Brené Brown’s new book, RISING STRONG™ This group is a chance to put what you have read into practice. 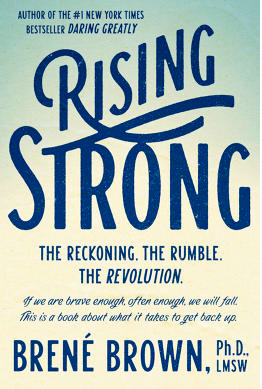 Rising Strong™, is based on the simple physics of vulnerability: If we are brave enough, often, we will fall. This is a curriculum about what it takes to get back up and how owning our stories of struggle gives us the power to write a daring new ending. Struggle can be our greatest call to courage and the clearest path to a wholehearted life. Equine-assisted psychotherapy is a specialty certification, and is empirically supported as an effective treatment modality. 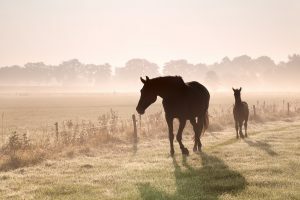 Current research has showed that interaction with horses through structured exercises led to improvement in symptoms of trauma and PTSD across the participants. We have created a workshop to specifically focus on anxiety and are partnering with the wonderful non-profit, Horses & Heroes, located in Shawnee, Kansas where the workshops are currently held. WORKSHOP DATES TBD – Due to popular demand, several workshops will be held throughout the year. Email or call us for further information, otherwise stay tuned for our next workshop! We are constantly preparing, creating, and planning groups that we feel that will bring our community together, or that our community lets us know that we need. Read on for details on our past groups and get to know our passion a little better. See a group your interested in? Let us know! Just because it ran in the past doesn't mean we can't run it again. This group offers 45 intentional minutes over your lunch hour to stop, think, and breathe. In a world and society where there is little room for intentionality, we see a great need to create a space for it! Our intention is to create a place just for you and what better time to do it than the middle of your day? We will focus on three aspects that we find essential for successful self-compassion: Mindfulness, common humanity, and self-kindness. We are all built for meaningful connection. Take this opportunity to learn about the world of attachment. We will explore the impact of trauma and stress on our capacity to build and maintain significant relationships in our lives. We all have stories and childhoods that create a framework for how we are to connect and experience the world. What we aren’t taught is how to understand those first, impactful connections. This group provides an exciting new lens from which to see our stories of attachment and the magnitude to which we can change our lives from that lens. We are offering a new group using Brené Brown's new book, RISING STRONG™ This group is a chance to put what you have read into practice. Rising Strong™, is based on the simple physics of vulnerability: If we are brave enough, often, we will fall. This is a curriculum about what it takes to get back up and how owning our stories of struggle gives us the power to write a daring new ending. Struggle can be our greatest call to courage and the clearest path to a wholehearted life. At times, it can feel very overwhelming to be a parent, especially when children exhibit challenging behavior. Joining a group can offer the support and resources necessary to navigate the parenting journey and let you know you are not alone! We have noticed that after each group has ended it is in fact not the end for most people but it is the beginning of something new and exciting. This group is a way to continue the conversation and the work that has already begun and to find support and encouragement as participants begin to go deeper into wholehearted living.